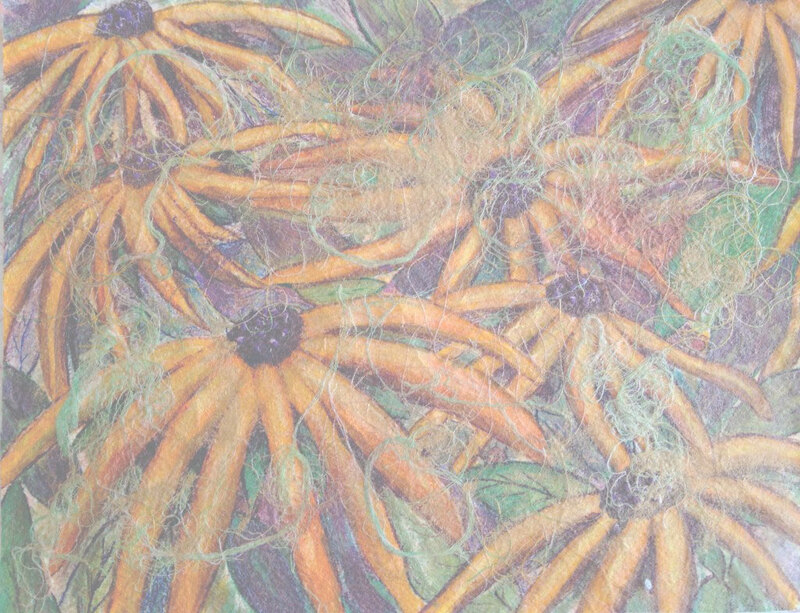 Description: This piece was created with a recycled heavy paper backing which was stamped, painted and dyed. The flowers, leaves and butterflies were made completely with tyvec which was burned, painted and stitched onto the backing. Beads were added to the butterflies. It was then placed in a shadowbox frame. Artist’s Comments: This piece was juried into the Fibre Naturally exhibition which is scheduled to start in Aug, 2009 in Vancouver and travel to two other venues (see exhibitions) The burned shapes of the tyvec helped to dictate the shape of the flowers. I had fun in creating this as I had never used tyvec in this way before.